LONDON (Reuters) -- Britain is on the cusp of securing a deal that would see General Motors Co. build the next generation of its Astra compact model at Ellesmere Port rather than in Germany, sources said Wednesday. Such a deal, which is dependent on workers at the plant near Liverpool agreeing to changed working conditions, would be a blow for Germany and a major coup for the British government, which is grappling with a recession and weak opinion poll ratings. "We confirm that have we made an offer to build the new Astra in Ellesmere Port from 2015 onwards," an Opel spokesman said. "The offer contains a lowering of structural costs and enhancement of flexibility at the plant. "The employees will have to vote on the offer," the spokesman added. "Once this has taken place, we will announce the decision and give further details." Securing increased production by foreign-owned carmakers based in Britain has been one of the few bright spots in a drive by politicians to boost manufacturing and rebalance the economy away from financial services. GM is currently looking at options for restructuring its European operations where cars are produced under the Opel and Vauxhall brands and plants in both Germany and Britain are seen to be at risk of closure. "There's an agreement in principle between them (the British government) and GM to make the new Astra at Ellesmere Port and it's down to the unions now," said one source familiar with details of the negotiations. The source added that staff at the plant needed to agree to some changes in working conditions first but declined to say what they were. 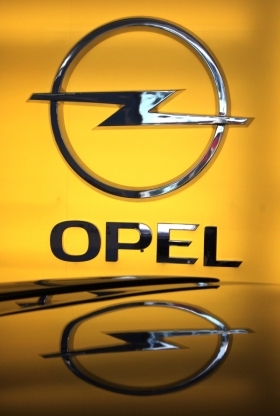 Opel is presenting a catalog of demands -- including wage cuts, more temporary workers and outsourcing -- to management of the plant in Ellesmere Port, according to a second, senior union, source. Opel's management is considering halting production of the Astra, its most important model, at its main plant in Ruesselsheim, Germany, and making the car only in Ellesmere Port and in Poland's Gliwice plant from 2015. In return, Ruesselsheim could make the Zafira compact minivan, which is currently being made in Bochum. There has been growing concern among Opel's workers that management plans to shutter the Bochum plant, a symbol of Germany's post-war economic recovery. Britain's Department for Business, Innovation and Skills declined to comment. Britain's car industry is often seen to be well past its heyday following the sale of such iconic brands as Rolls-Royce, Bentley, Mini, Jaguar, Land Rover and Aston Martin to foreign owners. It has, however, had considerable success in persuading those foreign owners to maintain production in Britain and in the 1980s attracted Japanese carmakers such as Honda, Toyota and Nissan to set up big manufacturing plants.